I was so excited to find out that Ippudo launched a new bar in BSC last week - especially since it's going to be a full-fledged Japanese concept bar. Sure you say, BSC is FILLED with bars. Do you really need ANOTHER bar? Yes I say. Hell YES. A million times YES. Some psychedelic lighting was happening at the launch party - but we were assured that on normal non-event days, it will be cosy & non-intrusive. 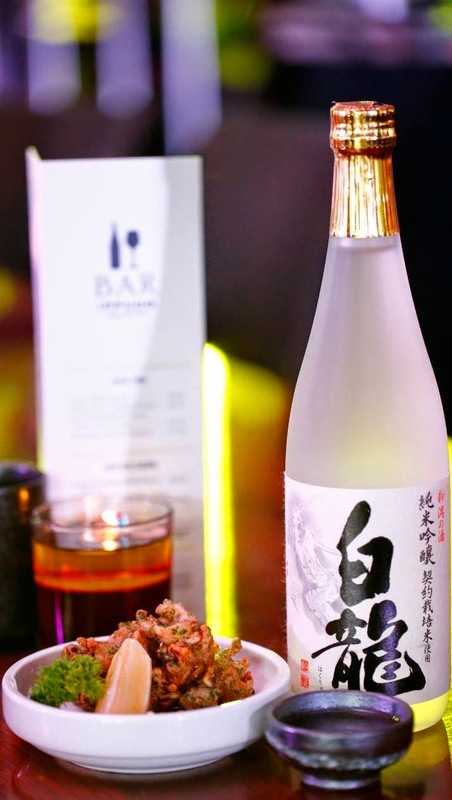 Expect to find Japanese beer, sake, Japanese whiskies and Japanese-inspired cocktails. 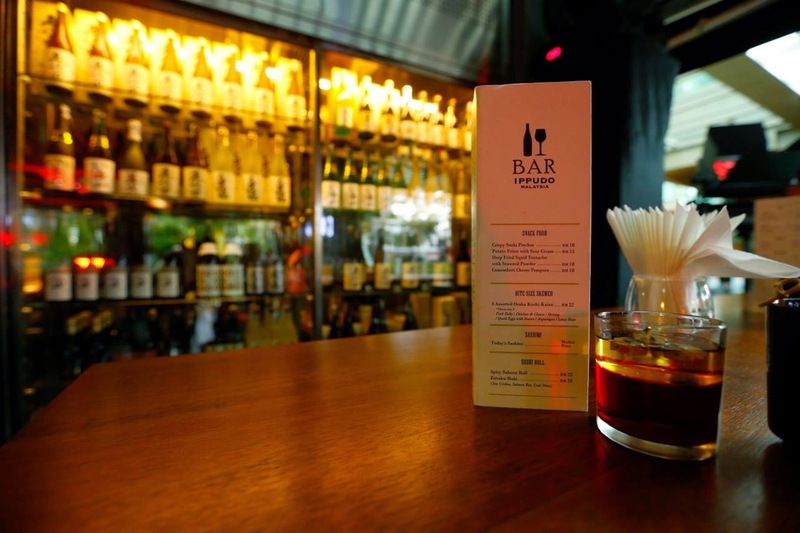 You'll find familiar Japanese whisky labels like: Suntory's Yamazaki and Hibiki, as well as Nikka's Taketsuru. For beers, there's the usual suspects of Kirin & Sapporo and a new one on tap - Suntory (which is also easy drinking). There's even Hitachino craftbeer to appeal to the beer geek. Look at all those lovely bottles of booze that I can't afford. If my ears did not deceive me, this Ippudo Bar is the FIRST Asian one opened. There's another one in New York and somewhere in UK. Let me verify this and get back to you soon. But the point of this was - FIRST! IN ASIA! YEAY IPPUDO MALAYSIA! YEAY! ICHIBAN! You see that sake display cabinet behind? No it's not a cabinet. It is a CHILLER. Like a giant see-through fridge. It is SO COOL (/badumz) (Image credit: Ippudo). Because the bar shares the kitchen with its ramen shop counterpart, I think you can safely expect delicious snacks and bar food (if their delicious ramen which I LOVE can be used as a benchmark). In fact, I think you can even request for the ramen shop's ramen too. Apparently their mixologist and bar staff can also recommend you food and alcohol pairings as well, if you so desire. Om nom nom nom glug glug glug nom glug nom glug hic burp ahhh... (Image credit: Ippudo). Junmai Ginjyo Hakuryu with deep fried squid tentacles (RM18). 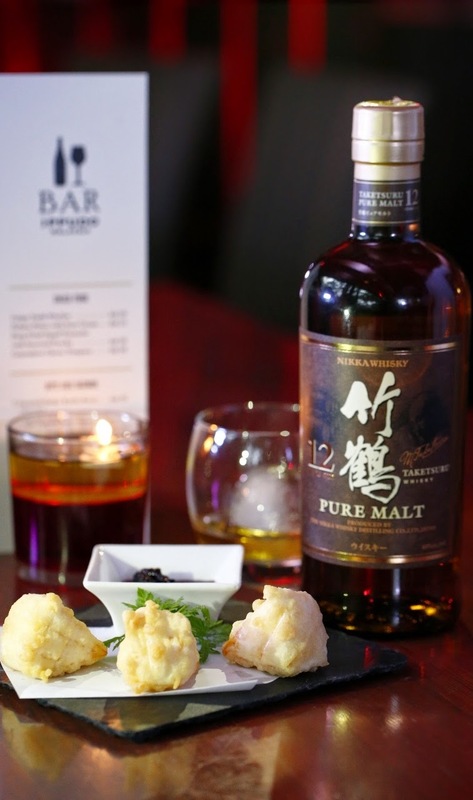 Pure Malt Taketsuru 12 years paired with Camembert Cheese Tempura served with blueberry sauce (RM18). My favourites has got to be the fried squid and cheese tempura. NEED. TO. HAVE. MORE.CAN'T. STOP. WON'T. STOP. IT. WAS. SO. GOOD. OH. MY. GOD. OH. MY. GOD. 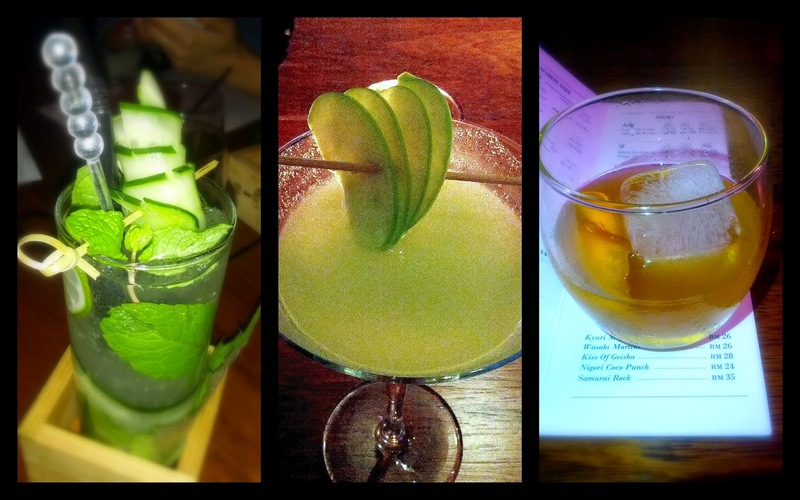 We tried some of their Japanese-inspired cocktails too. L to R: Kyuri mojito (RM26), wasabi martini (RM26) & samurai rock (RM35). Oh do do do do try the Wasabi Martini. It doesn't taste as scary as it sounds. And no, it's nothing like your usual gin martini. The wasabi spiciness only gently lingers in your mouth after you a sip. And that sip is really, really fruity tasty. The Samurai Rock is their house version of an Old Fashioned. Made with Nikka from the Barrel, homemade fennel (tastes like anise, or Hacks, anyone?) syrup and orange bitters. If you like your usual Old Fashioned, I highly recommend you to try this one. It's quite an unforgettable experience. There were 2 more cocktails in the menu, which we didn't get to sample. I wonder what "the kiss of geisha" and "nigori coco punch" are. Hmm. Man. I need to come back to try them. You know, just for the sake (wasn't meant to be a pun) of research. It's a tough job man, and someone's gotta do it! Just a bunch of average tumpang glamour Joes hanging out with Tomo Kudo, the Ippudo Regional Operations Consultant, who is really quite cute. :P (Image credit: Ippudo). Looking forward to going back again. I have so many excuses to do so anyway, hehe. 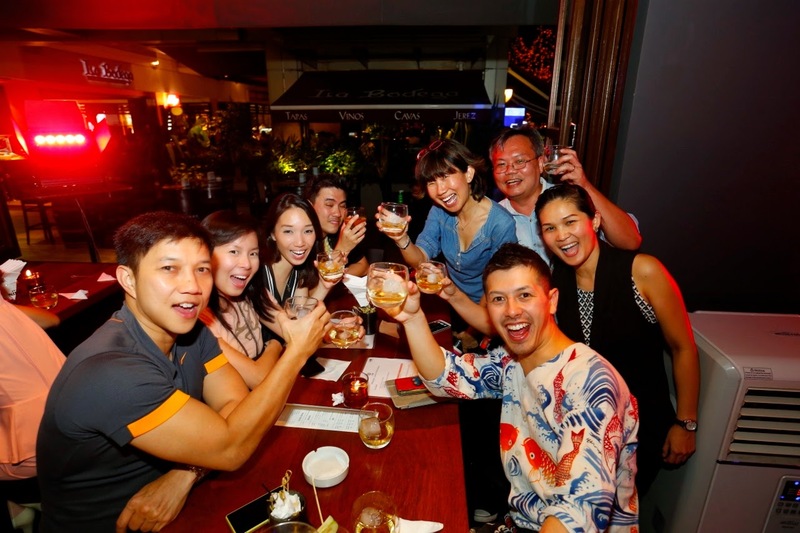 Best of luck with the new Bar, Ippudo! 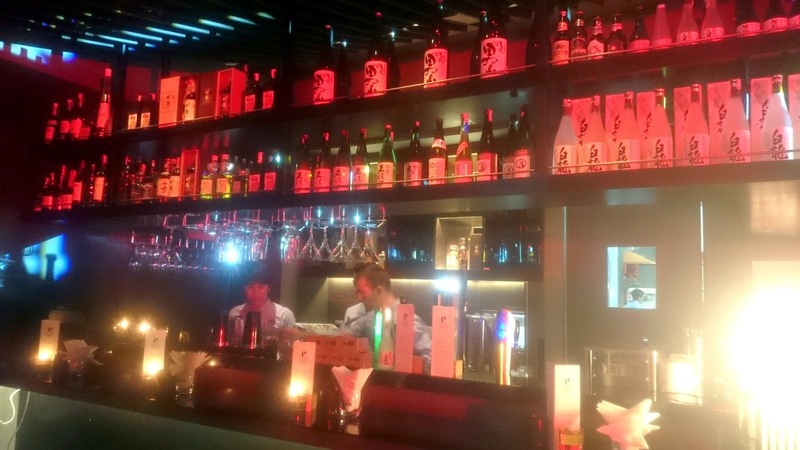 Kampai to a million days of great business! One good fun night with yummy drinks. I love the wasabi martini though I personally like it with a bit more punch. Martell Celebrates its 300th Birthday.